Raspberry Rainbow: Raspberry Rainbow goes to market! Raspberry Rainbow goes to market! Raspberry Rainbow is going to market! 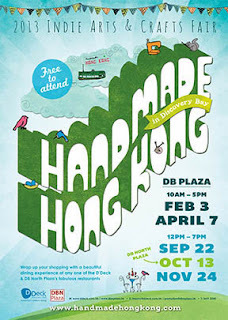 Yes, next month on Sunday 24th November I will be at the Handmade Hong Kong market held at Discovery Bay in the Main Plaza. I'll be there from 12noon to 7pm with a large selection of my hand made creations. I'll show you over the following weeks what I have made and been busy making. If you see any thing you want to buy now and can't be in Hong Kong on the 24 November, let me know by emailing me cat@raspberryrainbow.com or contact me through FaceBook. If you are in Hong Kong, come and say hello. Start your Christmas shopping. See you there or on the interwebs!